Brookline Bancorp, Inc. (NASDAQ:BRKL) was downgraded by analysts at BidaskClub from a “hold” rating to a “sell” rating in a research note issued on Thursday, August 30th. Several other equities analysts have also issued reports on BRKL. Zacks Investment Research lowered Brookline Bancorp, Inc. from a “buy” rating to a “hold” rating in a research note on Tuesday, July 3rd. 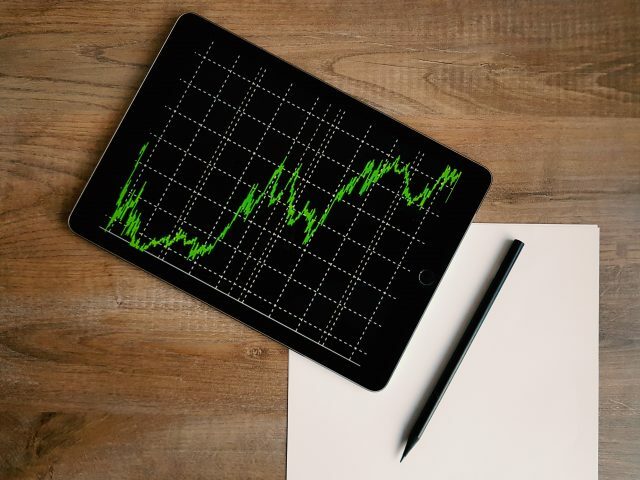 Keefe, Bruyette & Woods reissued a “hold” rating and set a $19.00 target price on shares of Brookline Bancorp, Inc. in a research note on Friday, July 13th. Finally, ValuEngine lowered Brookline Bancorp, Inc. from a “buy” rating to a “hold” rating in a research note on Wednesday, August 8th. One equities research analyst has rated the stock with a sell rating and five have assigned a hold rating to the stock. The company presently has a consensus rating of “Hold” and a consensus target price of $18.67. Shares of NASDAQ BRKL traded down $0.15 during mid-day trading on Thursday, reaching $17.35. 292,800 shares of the company’s stock were exchanged, compared to its average volume of 316,502. The stock has a market cap of $1.44 billion, a PE ratio of 21.69 and a beta of 0.78. The company has a current ratio of 1.17, a quick ratio of 1.17 and a debt-to-equity ratio of 1.25. Brookline Bancorp, Inc. has a 52-week low of $13.80 and a 52-week high of $19.35. 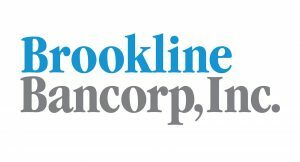 Brookline Bancorp, Inc. (NASDAQ:BRKL) last released its quarterly earnings results on Wednesday, July 25th. The bank reported $0.26 earnings per share for the quarter, hitting analysts’ consensus estimates of $0.26. The business had revenue of $68.24 million during the quarter, compared to analysts’ expectations of $69.40 million. Brookline Bancorp, Inc. had a return on equity of 8.53% and a net margin of 19.97%. research analysts predict that Brookline Bancorp, Inc. will post 1.08 EPS for the current year. In other news, Director David C. Chapin sold 5,000 shares of the firm’s stock in a transaction dated Tuesday, August 28th. The stock was sold at an average price of $18.01, for a total transaction of $90,050.00. The sale was disclosed in a document filed with the SEC, which is accessible through the SEC website here. Also, General Counsel Michael W. Mccurdy sold 3,000 shares of the firm’s stock in a transaction dated Tuesday, September 11th. The stock was sold at an average price of $17.90, for a total value of $53,700.00. The disclosure for this sale can be found here. Insiders sold a total of 15,250 shares of company stock worth $275,853 in the last ninety days. 2.51% of the stock is owned by corporate insiders. Several hedge funds and other institutional investors have recently modified their holdings of the company. BlackRock, Inc. raised its position in shares of Brookline Bancorp, Inc. by 11.5% during the 2nd quarter. BlackRock, Inc. now owns 11,150,005 shares of the bank’s stock worth $207,391,000 after acquiring an additional 1,148,782 shares in the last quarter. Jennison Associates, LLC raised its position in shares of Brookline Bancorp, Inc. by 11.4% during the 2nd quarter. Jennison Associates, LLC now owns 2,076,907 shares of the bank’s stock worth $38,630,000 after acquiring an additional 213,297 shares in the last quarter. Renaissance Technologies, LLC raised its position in shares of Brookline Bancorp, Inc. by 10.9% during the 2nd quarter. Renaissance Technologies, LLC now owns 1,537,000 shares of the bank’s stock worth $28,588,000 after acquiring an additional 150,600 shares in the last quarter. Northern Trust Corp. grew its stake in Brookline Bancorp, Inc. by 0.5% during the 1st quarter. Northern Trust Corp. now owns 1,474,040 shares of the bank’s stock worth $23,880,000 after buying an additional 7,753 shares during the last quarter. Finally, FMR, LLC grew its stake in Brookline Bancorp, Inc. by 2.4% during the 2nd quarter. FMR, LLC now owns 995,200 shares of the bank’s stock worth $18,511,000 after buying an additional 23,200 shares during the last quarter. 76.28% of the stock is currently owned by institutional investors and hedge funds.